Allergene: Enthält Sulfite, kann Albumin und Lysozym vom Ei und Eiprotein enthalten. 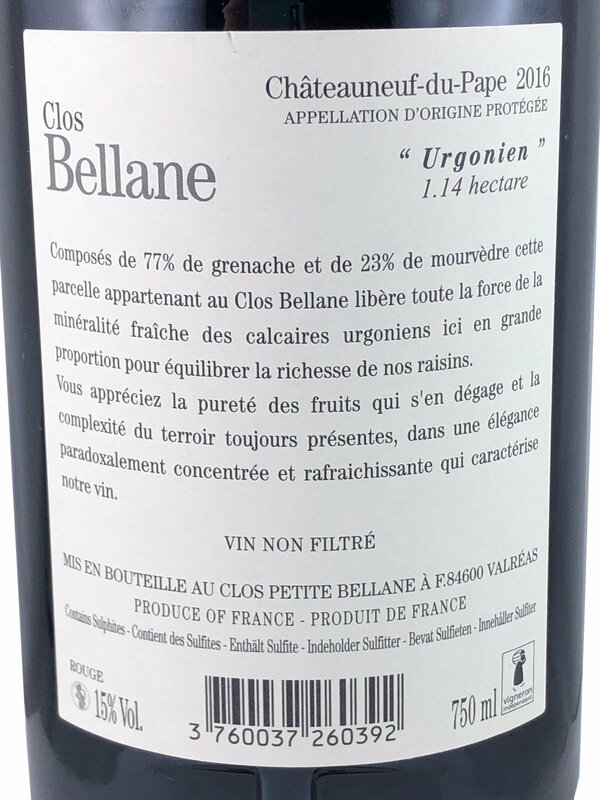 Produktinformationen "Clos Bellane, "Urgonien" Rouge 2016, Châteauneuf du Pape"
Französischer Rotwein Clos Bellane, "Urgonien" Rouge 2016, Châteauneuf du Pape. "The 2015 Chateauneuf du Pape Urgonien is a blend of 80% Grenache and 20% Mourvèdre, from 1.14 hectares planted on limestone-based soils. Rose petals and cherries fill the nose, while the full-bodied palate delivers fresh fruit, hints of dried spices—allspice, clove, anise—and a rich, supple texture. Although it weighs in at 15.2% alcohol, it doesn't show any warmth on the palate or finish. Bravo!" 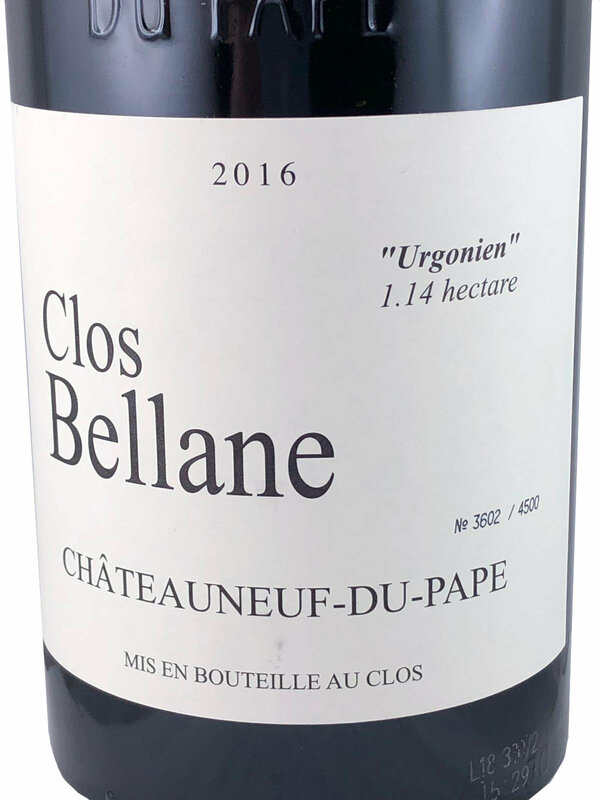 Weiterführende Links zu "Clos Bellane, "Urgonien" Rouge 2016, Châteauneuf du Pape"